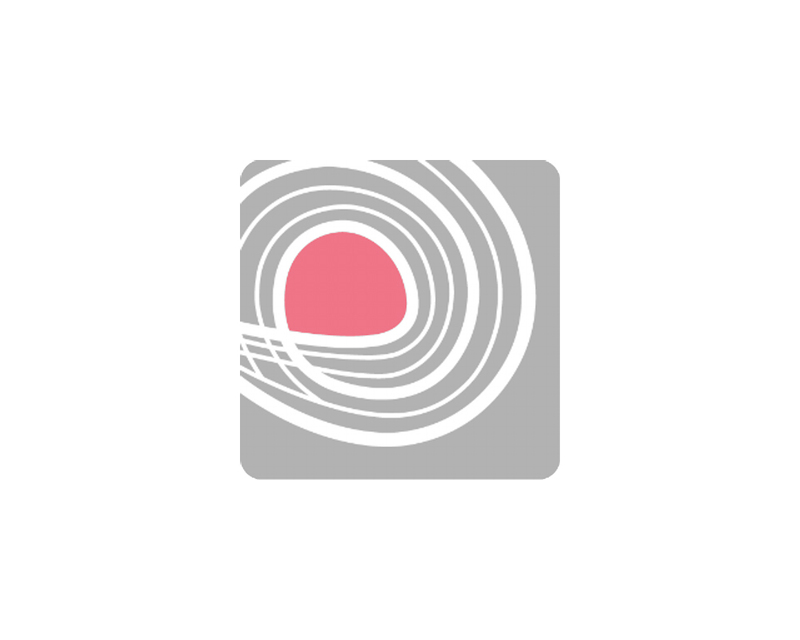 Delivering personalized customer experiences for the most popular brands worldwide, Certona is the industry leader for true omnichannel personalization for the past 5 years. 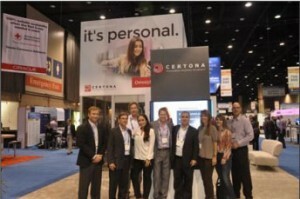 Trusted by more than 400 top ecommerce sites, Certona’s real-time personalization platform increases engagement, conversions and revenue per visit by delivering individualized content, promotional and product recommendations across all customer touch points including web, mobile, email, call center, and point of sale. As the Chairman Sponsor at the Shop.org Annual Summit, Certona served a pivotal role at the conference. It was Certona’s largest and most important trade show of the year commanding a huge presence on and off the trade show floor. Several high profile branding opportunities presented themselves such as aisle signage, window wraps, escalator wraps, hotel key cards and counter displays. Due to the fact that a large portion of their show budget was consumed by these sponsorship expenses, they had a limited remaining budget to work with for their 20×30 trade show display. Certona turned to Expo Outfitters to provide a budget conscious exhibiting solution that was strategically aligned with their brand, their audience and the Chairman Level Sponsorship at Shop.org. Expo Outfitters designed and built a custom rental solution to fit their 20×30 floor space and unique exhibiting requirements for the Shop.org Annual Summit. This was a perfect solution due to budget constraints, their infrequent need for a larger exhibit and the fluid nature of exhibiting within the technology industry. With a custom rental display, the theme, design and messaging can adapt to the show each year and the ancillary costs of owning a trade show display such as storage, refurbishment, freight and insurance are non-existent. Additionally, Expo Outfitters handled every aspect of the trade show including design concepts, 3D renderings, staging at the warehouse for a client walk through, audio visual presentation setups, packaging, freight logistics, freight tracking, show service coordination, installation and dismantle labor and an on-site exhibit consultant prior to the show, during the show and after the show. Expo Outfitters created a high impact, visually pleasing exhibit solution which achieved Certona’s goals & objectives of an exhibit experience worthy of their sponsorship designation, all within budget. Easy to install, manage and dismantle, the exhibit contained a private conference room, large lockable storage areas, semi-private lounge areas, a demo Station with a large 55” monitor, custom branded reception counter, a rotating circular hanging sign and custom floral arrangements. Furthermore, our on-site exhibit consultant provided high resolution photos for use in Certona’s social media campaigns, as well as internal and external marketing efforts. At the end of the show, an on-site show invoice audit conducted by Expo Outfitters revealed several mis-charges which resulted in a $3,500 savings in show expenses for Certona. Overall, the Shop.org Annual Summit proved to be a huge success for Certona.